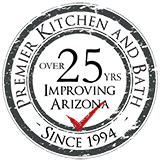 Premier Kitchen & Bath has designed and built new bathrooms for homeowners in Mesa, Arizona, and the surrounding areas since 1994. Our staff has more than 150 years of collective design and remodeling experience, and every member is committed to earning our customers’ total satisfaction. It is for these reasons and more that we have been named a Top 500 Remodeler by Qualified Remodeler magazine and maintain an A+ rating with the Better Business Bureau. Homeowners in Mesa, AZ, and the surrounding areas also love working with Premier Kitchen & Bath for their new bathrooms because we provide an all-inclusive remodeling service, meaning we can manage a remodeling project from start to finish. We start each project with an in-showroom discovery meeting to learn about the customer’s preferences for design and functionality. Next, our designers will visit the customer’s home to sketch, photograph, and measure the existing space. Then, our designers will prepare several design concepts that will include 3D renderings and product samples. 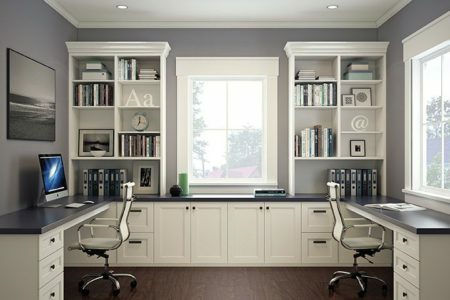 Once a design is selected, Premier Kitchen & Bath will schedule revision meetings as necessary to ensure all of your remodeling needs are being met. Finally, when the design is finalized, construction can begin. Premier Kitchen & Bath employs experienced project managers to oversee the construction of all new bathrooms. Your project manager will keep you informed every step of the way and ensure that your bathroom turns out exactly as planned. Contact Premier Kitchen & Bath today for more information about the new bathrooms that we design and build for homeowners in Mesa, AZ, and the surrounding areas.